Karma is fortunate to be able to transport our members to some of the most unique countries and incredible communities in the world. It’s an integral part of our Karma philosophy to respect and actively help the people and places in which we are located. That’s not just because it’s the ‘right’ thing to do; it’s because that’s who and what we are, a company that cares. We’re particularly involved with charities that support childhood development, including Christel House in Bangalore and The Bali Life Foundation, providing food, education and holidays for underprivileged children. We also work with philanthropic sports projects around the world. In our view, giving back is just good Karma. Based in Bangalore, India, Christel House takes a holistic approach to transforming the lives of impoverished children. The centre provides education, food and healthcare from kindergarten to graduation, helping its graduates to achieve dignity, independence and success. Christel House was founded in 2001 and Karma is proud to have been a key supporter from the start. Over the past 14 years, we have sponsored the Food Programme, the construction of the Christel House library and the Learning Support Centre (John Spence birthday gift). Since 2002, Karma has also invited more than 150 Christel House students for a fully funded five-day holiday of a lifetime at Camp Royal. Karma is a majority sponsor of this wonderful organisation, which strives to give hope, dignity and purpose to disadvantaged children in Bali. The foundation’s essential projects include a children’s home, a shelter for street children and a women’s centre. It also runs a sustainable farm providing food for its centres, as well as an educational programme that teaches vocational subjects such as computers, hospitality and cookery to vulnerable members of the community. Karma contributes both practical and financial support to the Bali Life Foundation to help it continue its valuable work. As well as direct financial contributions, we collect donations from guests and also give complimentary nights at Karma Kandara to charity auctions for this cause. Karma has also purchased school and stationary supplies, musical instruments, sports equipment and Christmas presents for the children. Established in 1999, Puspadi Bali is dedicated to empowering people with disabilities through rehabilitation and education. The charity works with more than 3,000 individuals, many of them children, providing everything from wheelchairs to prosthetic limbs. They also support children into education and adults into the workforce. Karma Kandara sponsored Puspadi Bali’s classical music concert in 2015 and donated a fabulous stay at the resort in the charity auction. Karma staff members personally support 25 children to attend school, as part of YKIP’s Kembali project. Their individual donations help pay for uniforms, shoes, school supplies and lunch money for the children. This is just one of the inspiring initiatives by the Bali-based charity, which aims to break the cycle of poverty through education. Karma has been a sponsor of the foundation since 2003. Kupu-Kupu is the Indonesian word for butterfly, and the foundation helps to transform the lives of people with disabilities by providing medication, physiotherapy, surgery and physical aids such as wheelchairs and adapted facilities. One of Western Australia’s iconic sporting events, the Rottnest Channel Swim is sponsored by Karma. The annual event, held each February, features a 19.7km open water swim from Cottesloe Beach to Rottnest Island. As well as being the named sponsor, Karma’s participating swim team was also the leading fundraiser in the 2015 event. The Rottnest Channel Swim Association donates money to The Royal Flying Doctor Service, Fremantle Volunteer Sea Rescue Group, Leeuwin Ocean Adventure Foundation and The Starlight Children’s Foundation. 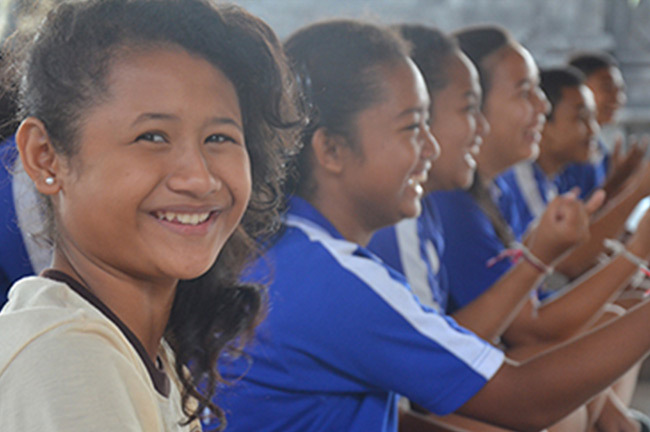 Bali Children’s Project is dedicated to education as a means of improving the lives of disadvantaged young people. It was founded on the belief that children, empowered to realize their potential, will enrich their own lives, their villages and, subsequently, contribute to the world. Please find out more at Bali Children’s Project.